STM announced yesterday that the public transport service will be improved in many areas in Montreal. The STM will improve service in this area in order to facilitate access to jobs and shops and make the Chabanel sector more attractive for businesses and residential and commercial construction projects. The upcoming changes will simplify trips to this part of Montréal. 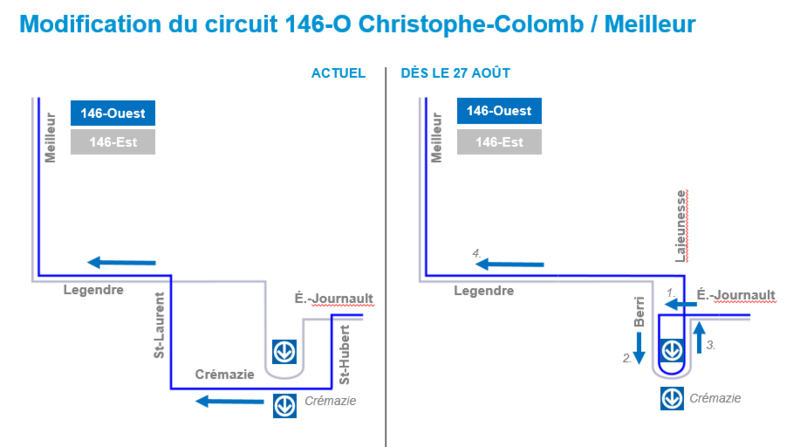 They include a modified 54 – Charland/Chabanel line, which will become the main access route to the Chabanel sector. 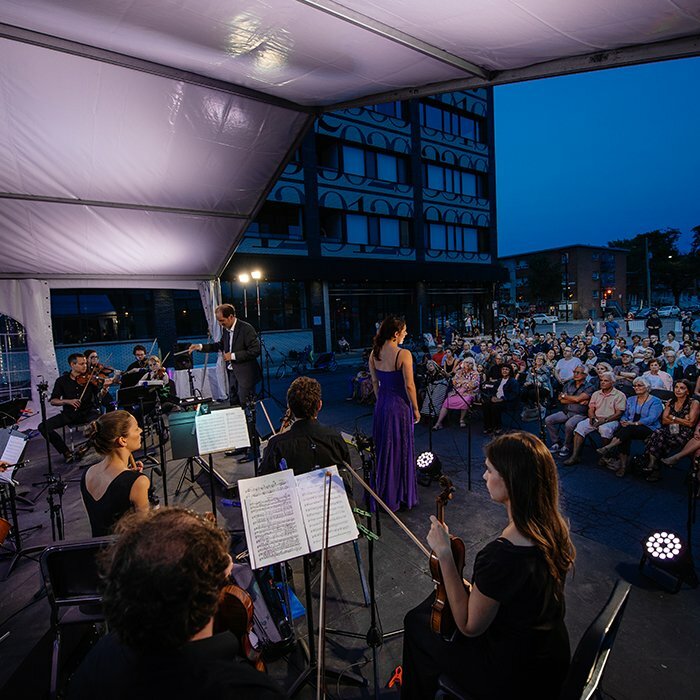 Lines 19 – Chabanel/Marché Central and 53 – Boulevard Saint-Laurent will be merged and become the 19 – Chabanel/Marché Central line, providing expanded service to the Marché Central shops, including weekends. In September 2017, the 55 Saint-Laurent line was extended to the Henri-Bourassa station. 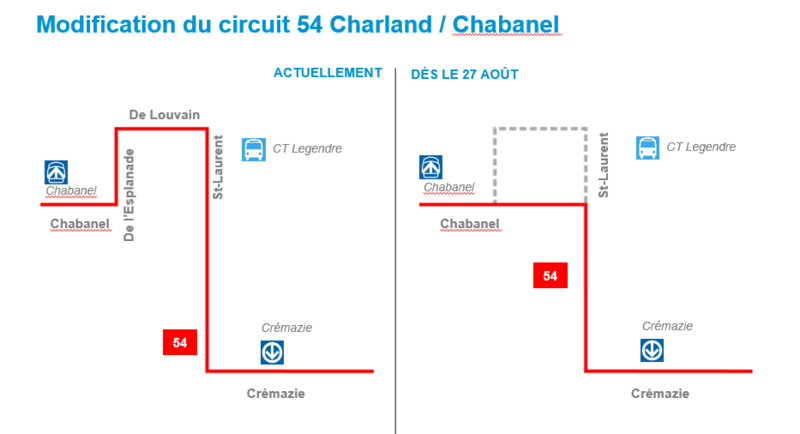 Line 54 – Charland/Chabanel becomes a principal access line since the bus will circulate directly on Chabanel. From Crémazie station, this means a reduction of 3 minutes. The frequence of line 54 will be increased. During rush hour, the frequence will be every 10 minutes instead of 15 minutes. 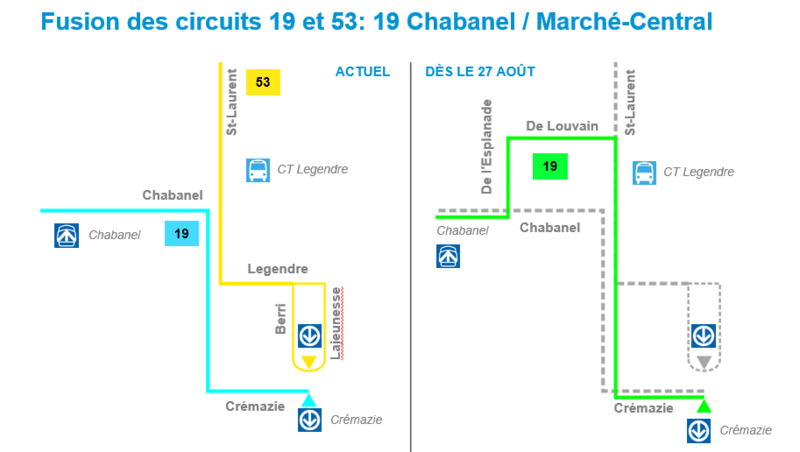 The new line 19 – Chabanel/Marché Central will service Louvain street, replacing the 54. The new line will pass every 20 minutes during business hours and every 30 minutes at night and on weekends. Line 146 West will no longer transit via St-Laurent Boul. The line will leave Cremazie station using Lajeunesse and Legendre to offer service where the new 53 line will not pass. The stops that 146 no longer covers will be covered by the 54 and 19 lines. 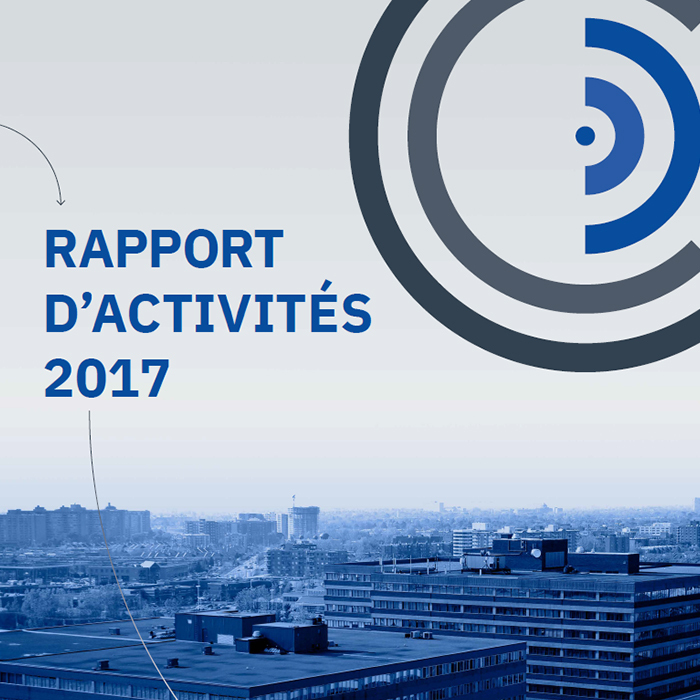 The public transport improvements are the results of a collaboration between the SDC District central transport committee and the Société de Transport de Montréal (STM). The data compiled on the transportation habits of workers in District central, collected in a survey distributed by the SDC in the summer of 2017, has lead STM in establishing the proposed improvements. 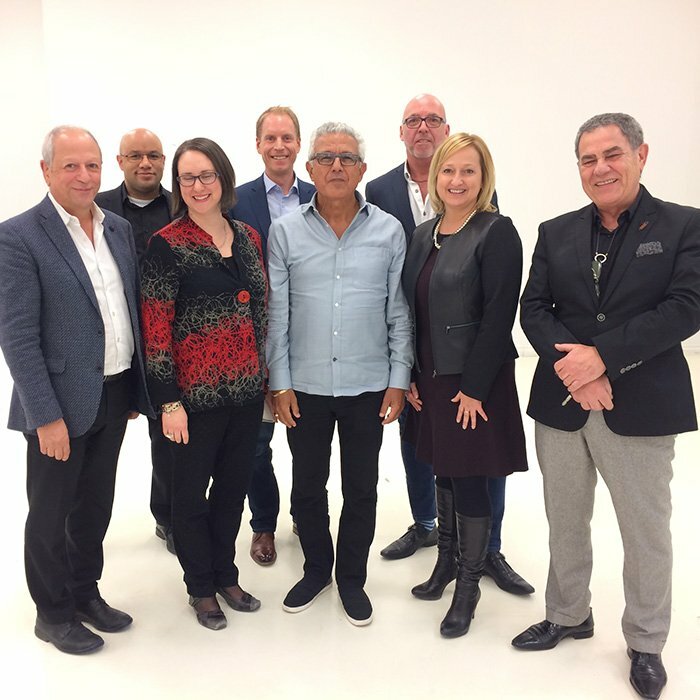 Members of the committee also had the occasion to submit their comments before the final proposition has been determined.